Say Oh Hai to my second purchase from Origins, but say it from a distance as I won't be parting with this beauty for quite some time. As I said to the eldest 'You see with your eyes, not your hands'. 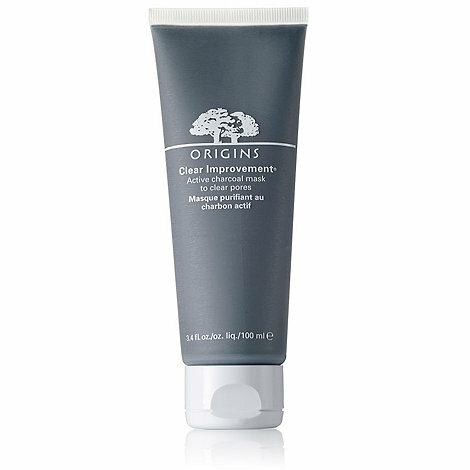 Origins Clear Improvements Active Charcoal Mask is everything it says on the recycled plastic tube, and then some. Made with Activated charcoal (that gives it both it's name and slight scent), White China Clay and Lecithin, this charcoal mask works at a deeper level to draw out the nitty gritty that causes clogged pores and breakouts. This mask is right up there with the Gorgebags' favourite but hidden Vichy Normaderm 3 in 1 wonder product and the organic delight Ógra 100% Peat Mask in terms of immediate results. I use it while running the bath so that the steam has naturally opened my pores. Applying a liberal charcoaly covering, I make sure to pay special attention to my T Zone and leave it in place for 10 minutes to work its magic (though it only needs 5). Although Clear Improvements dries in place like any other mask, there's almost an elastic quality to it once set. There's no way you're peeling it off so instead I opt to rub warm water into my skin, massage it gently to get rid of the majority then use a soft cotton facecloth to wash away the rest. Immediately the difference is visible, skin is brighter, pores seem tighter and there's a squeaky clean quality that I've only experienced with my other Origins love Modern Friction. Each of these products only really need to be used once a week so I'm alternating at the moment and having fantastic results. Priced at €27.50 from Debenhams or from any Origins counter it would appear that it's time for me to pay a little more attention to the brand. I had always considered the products too spendy but based on these two, it would appear that you get exactly what you pay for. I'm hugely impressed. Is there anything else I should be checking out? 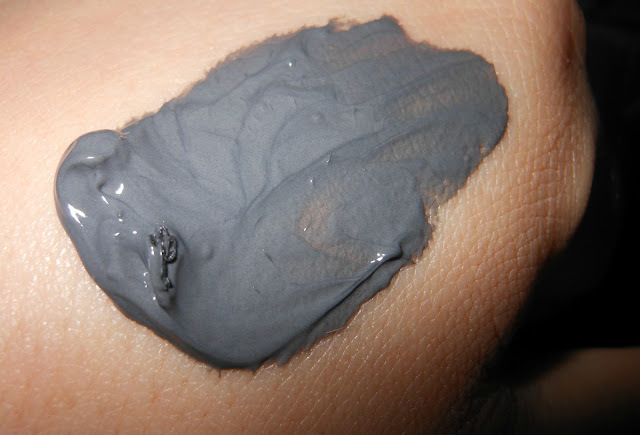 I have the charcoal mask too, it's great. I second the overnight drink me up one, it really is a great product! This sounds fantastic - may have to try it out!!! I said to the eldest 'You see with your eyes, not your hands'Nicorette. Origins Clear Improvements Active Charcoal Mask is everything it says on the recycled plastic tube, and then some.